BRAND NEW- Completed! Come check out this floor plan with wood floors, 42" kitchen cabinets and granite countertops. 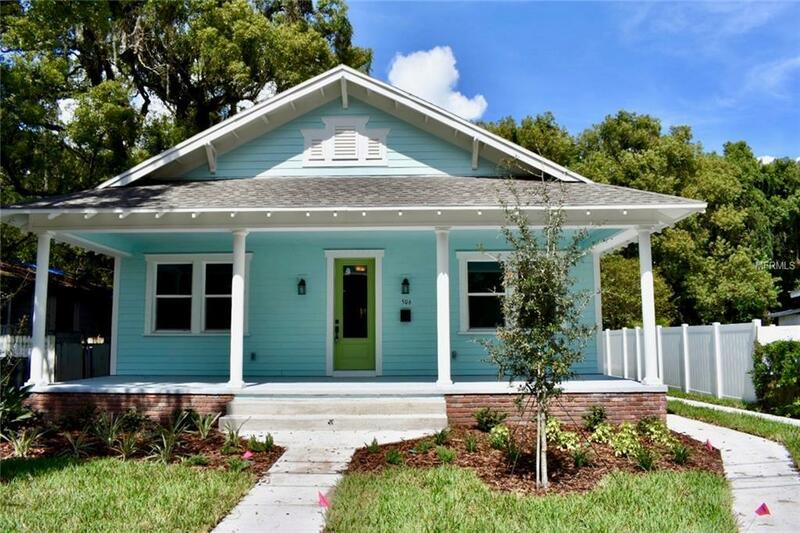 Tampa Heights is booming with fun, new attractions such as: Armature Works, Water Works Park, Ybor City and the proposed new Tampa Bay Rays stadium all a short distance away! Enjoy the historic aesthetics with modern luxuries of this new Jackson floorplan. As you walk through the front door, you are greeted by soaring ceilings and an abundance of natural light through the energy-efficient windows. The kitchen is designed with storage and workspace in mind, with a walk-in pantry, plenty of maple cabinets and an oversized, granite, island. All of the entertaining and gathering takes place with the open flow from kitchen to dining and family room. The master suite is strategically placed in the rear of the home for privacy, featuring a huge walk-in closet and separate bath tub and upgraded frameless shower. Guests will have plenty of room with the two additional bedrooms and full bath. Watch the day go by on your front porch or host your family and friends for a weekend grill-out with the covered back lanai and large backyard. Feel confident in your new energy-efficient Domain Home with our outstanding warranty program. Photos are of another completed home shown with upgrades for demo purposes.